Looking to raise money for your organization? The Manitoba Moose have your answer! Fundraising with the Moose is a great opportunity to combine a fun night out with a group as well as raise money for your organization. 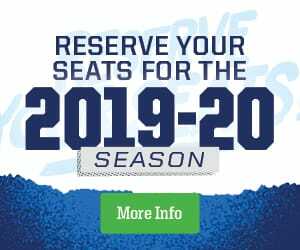 Groups who participate in a Manitoba Moose Fundraiser will receive $5-$10 for every ticket sold for the selected game while enjoying all the same great benefits groups enjoy. Tickets are $25. It’s a WIN-WIN, your group earns money while attending a fun activity together that will strengthen your groups bond as well as providing a discount to the friends and family you sell tickets to! Sell P2 Tickets for a targeted game for $25 (regular $32.75 so purchaser saves $7.75 a ticket – minimum commitment is 50 tickets). BONUS – if your organization sells 150 tickets you are eligible to have a booth on the concourse during the game to promote your group/organization.